MOADON in Hebrew means 'lounge', and is very intentionally the name of our Hebrew school program. We create a relaxed and casual atmosphere, which enables us to support the needs of our children and ensure they thrive in our environment. 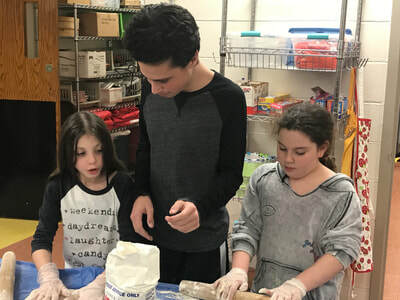 MOADON goes beyond a typical religious school; it is meant to guide each child to develop their own Jewish identity while learning and ‘doing Jewish’ in a warm and supportive atmosphere. Our children’s Moadon brings the best of Jewish experiential learning, music, summer camp and home into our learning lounge. 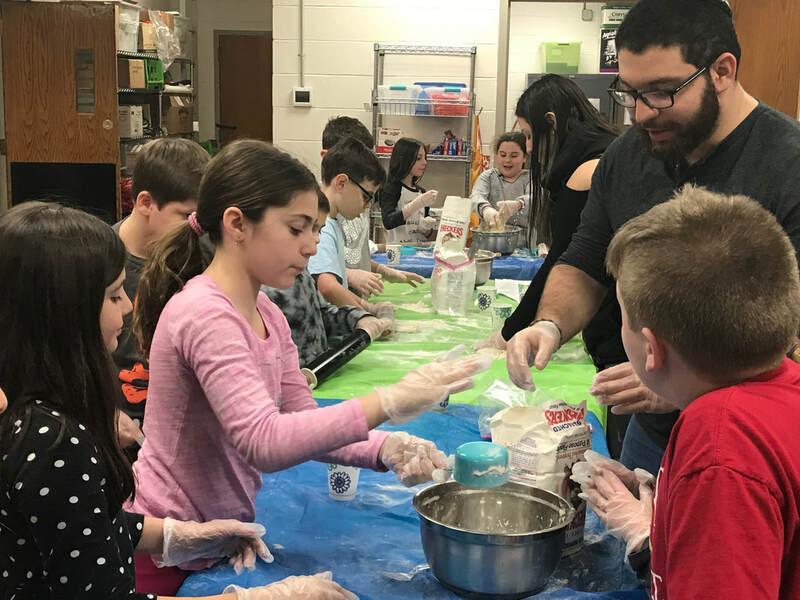 Our Rabbi, educator and lead teachers work with small groups to bring Jewish learning alive. The children actively engage in all aspects of learning and are eager to return each week for our different model of learning and engagement. 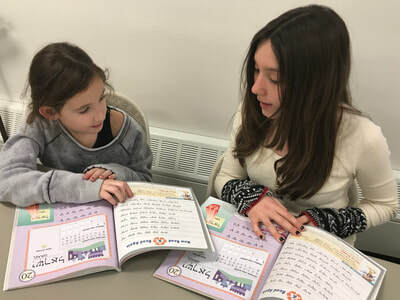 If your child needs a different style of learning program, connect with Rabbi Bravo or educator Sherry Gutes directly and they will happily learn more about you and your child, and together you can see what MakomNY can offer you. ​We look forward to speaking to with you directly and learning more about your family. Our youngest learners engage with Judaism in ways that are completely hands-on, experiential and centered around creating community through Jewish holidays, Torah, mitzvot and more. Your child will learn through stories, songs, cooking and fun crafts (often edible ones!) while meeting other kids and having fun! Rabbi Bravo and teen helpers teach our K-2 children in a fun and casual setting. 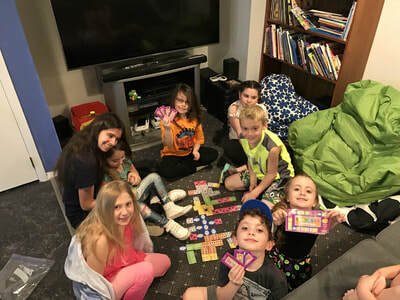 Our children are introduced to Jewish learning in a relaxed setting, in small, intimate classes, enabling them to establish warm personal relationships with Rabbi Bravo, educator Sherry Gutes and their other teachers. We are committed to creating the best possible learning environment and meeting the needs of each child based on their ability, learning style and knowledge upon entering our program. Our program is divided into three main focal areas, Hebrew, Judaics and T'fillah (prayer), though often two or all three of these blend together. Our day begins with snack, fun Jewish music and a 'do now' activity, which either reviews prior learning or introduces new learning. 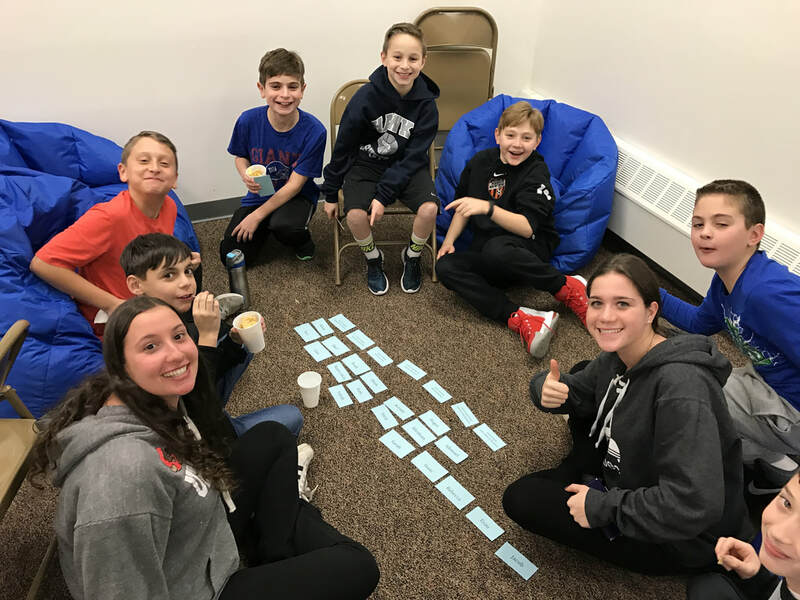 We then spend significant time in our Hebrew groups, based on level and experience, where we focus on decoding the Hebrew letters, blending, reading and learning to read basic Hebrew prayers, as well as a basic introduction to Modern Hebrew. Next we typically share in Judaic lessons. 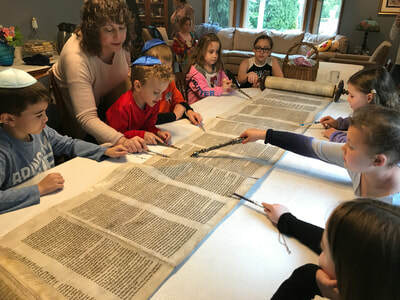 Our Judaic content is age and level appropriate, and uses a spiral curriculum that focuses on four main ares of content: Torah, Jewish History, Mitzvot and Jewish Values, and Israel, with an intertwining of Jewish holidays, as they approach. Each year builds on the prior year's learning, though any student can enter the program at any point. These Judaic lessons are often experiential, and we utilize video and on-line resources to make the lessons engaging and current. The day ends each week with T'fillah, or a brief, fun and engaging prayer service, where the focus is on learning about the prayers, how to pray, how to talk with God, and how to be a part of a community. Parents and siblings are always welcome for the weekly T'fillah. Our sixth grade program is designed specifically to meet the changing needs of students as they mature, transition to middle school and begin to explore their Judaism in new ways. We ensure that we recognize the learning needs of each child as they approach Bar and Bat Mitzvah. We continue to build upon the foundations given to the them in the younger years, with a deeper focus on prayer, God, social justice, Holocaust, Israel and more. The sixth grade students will join most weeks with our seventh grade students, to create a unique Middle School Moadon Model, with an opportunity at least once per month for sixth graders to be grade-specific. 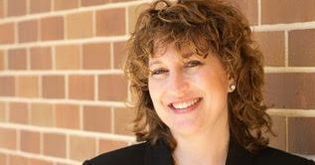 Classes are taught by Rabbi Bravo, Sherry Gutes and a high-level teaching team. ​Learn More About the 7th Grade Learning and the Bar and Bat Mitzvah Experience. 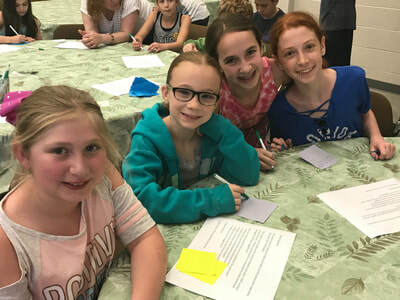 Our seventh graders are privileged to participate in a special program, embracing the many nuances of becoming a teen and preparing to become Bar or Bat Mitzvah. Classes continue to embrace content areas around prayer, God, Torah, Text and Hebrew, as well as topics relevant and affecting their lives and Judaism in the world today. The seventh grade meets on select Tuesdays of the month, joining with the 6th grade for a unique Middle School Moadon Model. Classes are taught by Rabbi Bravo, Sherry Gutes and a high-level teaching team. Please email Rabbi Bravo or Educator Sherry Gutes to arrange a time to meet.